Day 10 already how did that happen? 10 days in and the children’s patterns are starting to change. They are finally starting to sleep past 7am. Yes I hear you cheer. And yes it is brilliant but I’m going to regret it come the start of school when they refuse to get up. When is a good time to get them back into routine? The day before maybe ? The novelty of having access to food all day is wearing off. The continuous asking for food is slowing down. They only ask every 30 mins now instead of every 10. Feel like were winning at life now. As we have been super lucky to have Adam at home for the first two weeks. We have done a lot of days out already and still have a few more planned to squeeze in before he goes to work. So thankfully they are actually asking foe days in rather than moaning that they are bored. We had one of the best days yesterday at Splash Landings water part at the Alton Towers Resort. Water parks are normally really hard work. Yet yesterday it was just such a pleasure to all be together doing something we all love. 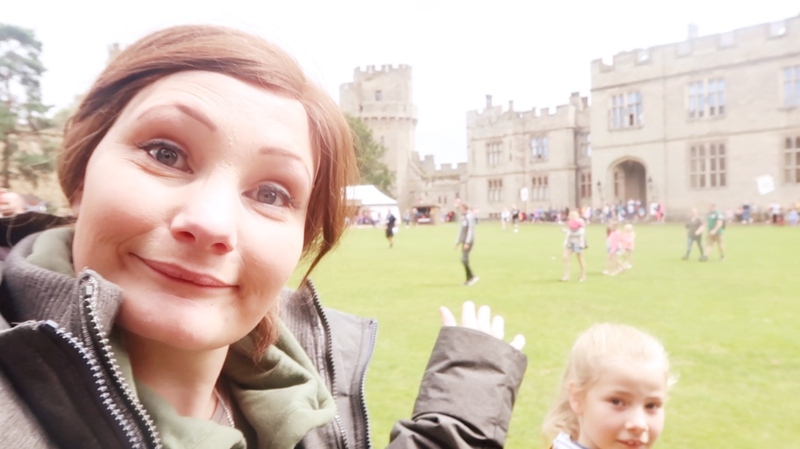 We also had an amazing day at Warwick Castle with hilarious chats about politics and Elijah had a full fit of giggles over Donald Trumps name. I’m already dreading them going back and feel like time is going way to fast. We still have so much we want to do and so many friends we need to see. Hope you are all having a fab time so far. Does time feel like it is slipping away for you too or are you counting down the days ?